Demand for project management expertise in organizations continues to grow, and the Meinders School of Business Project Management prep class is a great way to prepare you to earn the Project Management Professional PMP® designation. In this highly interactive curriculum, the course will prepare the student for the PMP® exam by examining the special nature of projects, concepts, definitions and approaches. Value Colleges named Oklahoma City University to its "Top 50 Best Value Project Management Certificates" rankings. 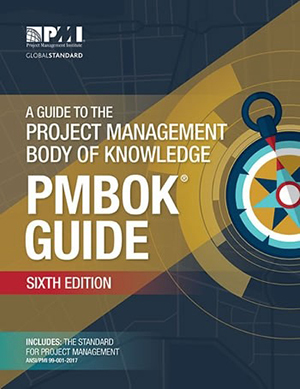 This program takes an in-depth look at the PMI standard and the phases of the Project Management Life Cycle: Initiating, Planning, Executing, Monitoring and Control, and Closing, the related processes and sub-processes that characterize the project management approach: Integration Management, Scope Management, Schedule Management, Cost Management, Quality Management, Resource Management, Communications Management, Risk Management, Procurement Management, Stakeholder Management and Professional Responsibility. You learn from highly qualified instructors with extensive project management experience and work in teams with classmates to develop problem-solving techniques. Upon successful completion, students earn a certificate of completion from the Meinders School of Business and earn requisite contact hours required by PMI to take the exam. This 40-hour course prepares you to take the Project Management Institute (PMI®) Project Management Professional (PMP®) or Certified Associate Project Manager (CAPM®) examination. Topics include management of integration, scope, schedule, quality, resources, communications, risk, procurement and stakeholder management. The course also covers ethics and professional responsibility. 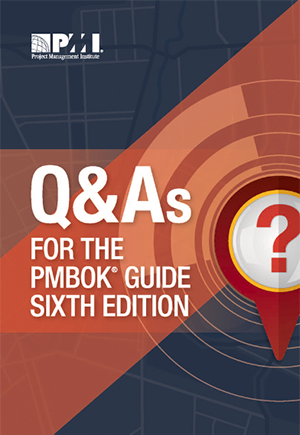 In addition to in-depth coverage of A Guide to the Project Management Body of Knowledge (PMBOK® Guide) 6th Edition (Project Management, Inc., 2017), and Q&As for the PMBOK® Guide Sixth Edition you analyze sample exam questions, and learn tips and tricks to help you pass each exam. 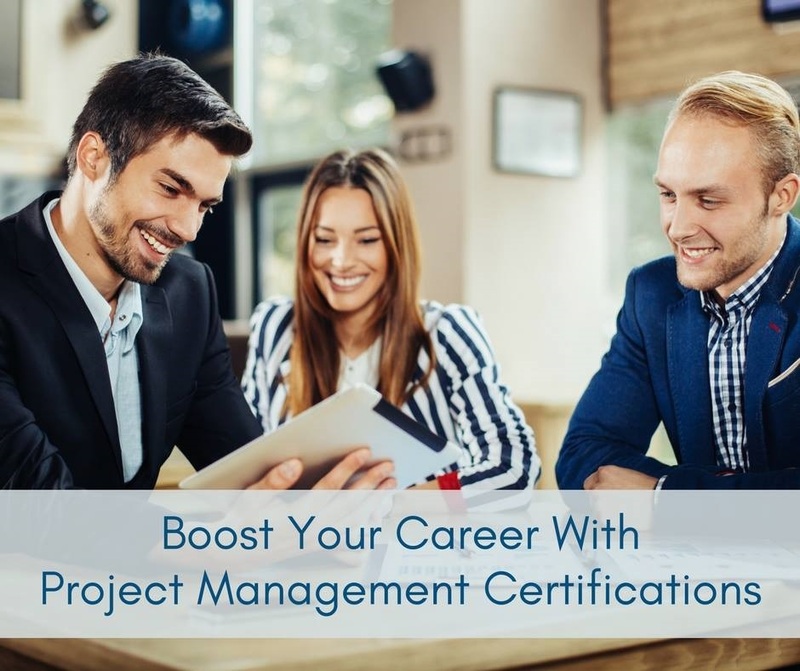 The classes offered satisfy the PMP®TM requirement for contact hours and are open to all students and professionals interested in learning more about the growing project management field. Day/Time: Saturday - 8:30 a.m. - 12:30 p.m. There is a $300.00 discount for current OCU students in good standing, alumni, military and companies with three or more students enrolled in the same class. Daneta has worked as a Project Manager Specialist at OG&E in Oklahoma City, Oklahoma since 2007. Over the course of her career, Daneta has excelled at managing multi-million dollar programs and projects with an on-time and under-budget record, while maintaining high quality deliverables and stakeholder satisfaction. She began her career with the Oklahoma State Department of Health in 1973, and has held a variety of positions ranging from Developer to Director. She has remained in Information Technology, and has over 40 years of experience in the energy, retail, wholesale food distribution, insurance and banking industries, specializing in Project Management for the last 35 years. Daneta studied for and obtained her PMP certification in June of 2000. In 2001, she served on the project team that developed the original course materials for this PMP Examination Preparation course, and has taught it continuously since that time. She served as the Lead Instructor for the course for four years, and is an active member of the PMI OKC chapter. She is a Charter member of the Oklahoma City PMI chapter since 2000; Charter instructor for the PMP Exam Prep course in partnership with OCU Meinders School of Business since 2001; and Charter member of the PMP Exam Prep team formed in 2013. Sarah is currently employed by Devon Energy where she is leading the Stakeholder Management Maturity Model project, helping to develop the Portfolio Management model for Devon's growing PMO, and helping to roll out MS Project Server across the organization. She also teaches a variety of communications and writing courses for Oklahoma City Community College. Prior to joining Devon, she developed and taught the Technical Communications program for the Mewbourne School of Petroleum and Geological Engineering at the University of Oklahoma. She has been teaching at the collegiate level for 5 years. Sarah has also worked at Wyle Aerospace as Procurement Specialist for the USAF's B-1 Program. She was introduced to project management in 2004 at Virgin Atlantic UK where she served as Brochure Production Specialist. In 2013, she received a Master's degree in Rhetoric from the University of Oklahoma. She is proud to say that she is a certified Project Management Professional (PMP). Lynn Moore is an educator and Information Technology (IT) professional with over 25 years of experience in the industry. She is currently employed with JMA Solutions as a Program Manager supporting the National Airspace System Defense Program contract. Lynn manages a team of engineers who install and maintain long range radars; a team of technicians who install and maintain Transmitter Cooling Systems (TCS) for the Air Route Surveillance Radars (ARSR); and a team of Voice Radio Communications (VRC) engineers that support air-to-ground communications systems across the US and US territories. Most of her Project Management experience was cultivated while employed as a Project Manager, Program Manager and PMO Director serving the Information Services Division of the Department of Human Services from May 2006 through November 2014. Born in Oklahoma, Lynn received her formal education at the University of Oklahoma and the University of Central Oklahoma while working for Oklahoma organizations including Kerr-McGee, INTEGRIS Health and Chickasaw Nation Industries. She has a BBA in Management Information Systems from the University of Oklahoma, a MBA in Business Administration and a MEd in Corporate Training and Development from the University of Central Oklahoma. Lynn is a PMI certified PMP, Certified ScrumMaster and Lean Six Sigma Green belt. Lynn is enthusiastic about education and is proud to be an instructor for the PMP Examination Preparation course for Oklahoma City University. Sheryl currently works for RIGIL Corporation and is on assignment with the FAA Information Delivery Organization, performing Enterprise Data Architecture activities. She has also served in the PMO for AeroNav Products; Planning & Systems Development, providing portfolio management and best practices support. Prior to her FAA assignment, Sheryl served as Portfolio Management CoE; Practice Manager with Objectstream in Oklahoma City, Oklahoma, providing business and information technology consulting. Sheryl has also served as Director of Development for FACTOR®, specializing in software development and business solutions for the petroleum marketing and c-store industry. Prior to joining Factor, Sheryl had 27 years of experience in Information Technology for the wholesale food distribution, financial services and human resource industries. Managing multi-million dollar projects with on-time and delivering strong process improvements. Sheryl’s career began as a night operator with the Oklahoma State Department of Education, while attending college. From that position, she has moved up through a variety of positions ranging from Business requirements, Applications Development to Project Management to Director of Development. She has remained in Information Technology and has specialized in Project Management for the last 19 years. Sheryl received her BA in Computer Science from The University of Central Oklahoma in Edmond. She has been a member of the Board of Directors for the Central Oklahoma Parking and Transit Authority and a volunteer instructor for the Junior Achievement organization. Sheryl is a certified Project Manager Professional (PMP) and an active member in the local and national chapters of the Project Management Institute. She has served as an instructor for OCU’s PMP Prep course since 2005 and Lead Instructor for the course since 2011. Rosalyn Thompson is a Program/Project Manager with the Federal Aviation Administration (FAA). She manages Information Technology, Financial and project across different lines of business. She has fifteen years of federal experience with the FAA. Rosalyn has over 20 years of information technology experience primarily in application development as a programmer, business analyst, team lead and project manager. Rosalyn’s experience was gained while working in various industries including hotel, automobile rental, health, and aviation. Rosalyn’s project management experience includes the implementation of a personnel and payroll system for the rural hospitals of INTEGRIS Health and the implementation of the Integrated Personnel and Payroll System for the Department of Transportation. Rosalyn seeks opportunities to be of service both at work and in her community. She served as a Facilitator working with mangers and various teams at the FAA. Rosalyn served as a trainer conducting in&dash;service training for parent resource families for National Resource Center for Youth Services and she continues to volunteer much of her time with youth and family service organizations as well as mentoring.Rosalyn holds a BS in Business Administration from Oklahoma State University. She earned her PMP certification in April 2006 and her RMP in May 2013. The class was great! I recommend this class 100% to anyone preparing for the certification exam. These instructors have all been in the project management field for years and have a thorough understanding of the material and present it extremely well! I really don't think I would have passed the PMP® exam had I not taken this course. It was top notch! I have passed the PMP® and firmly believe I would not have without this class. I also firmly believe that the one week boot camp, would have not done me as well. I think the pace is great and the classrooms are perfect to aid in digesting this material. I would definitely recommend (and have) this class to others!